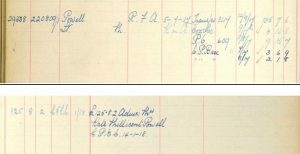 Maurice Powell was born on the 4th of May 1885 in Hampstead, Middlesex to stockbroker Thomas Edmund Powell and Kate Millicent Powell nee Overbury, and was baptised on the 25th of July 1885 at St Nicholas church in Guildford. At the time of the baptism the family lived at Priory End in Hampstead. 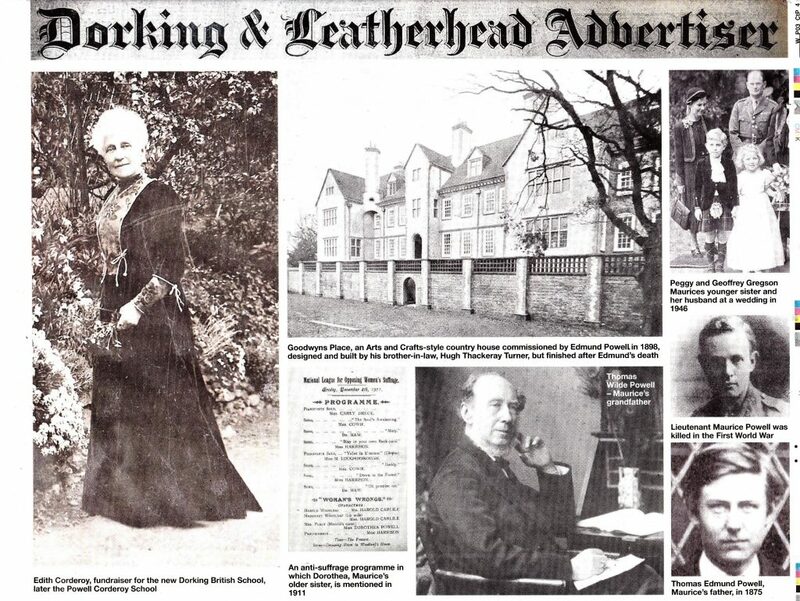 At the time of the 1891 Census, the family lived at Tower Hill, Dorking, Surrey. Thomas was a stock broker and Kate Millicent was looking after their children: Dorothea, Maurice and Helen Margaret. 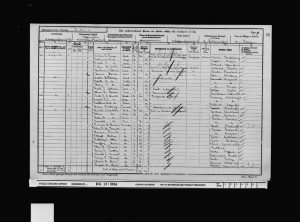 The family further comprised of a nurse, cook, parlourmaid, two housemaids and a visitor: clerk Frederick J. Dryhurst. Thomas Powell of ´Oakridge´ Dorking, Surrey and of 1 Draper´s Gardens, London died on the 15th of January 1901 at Oakridge. 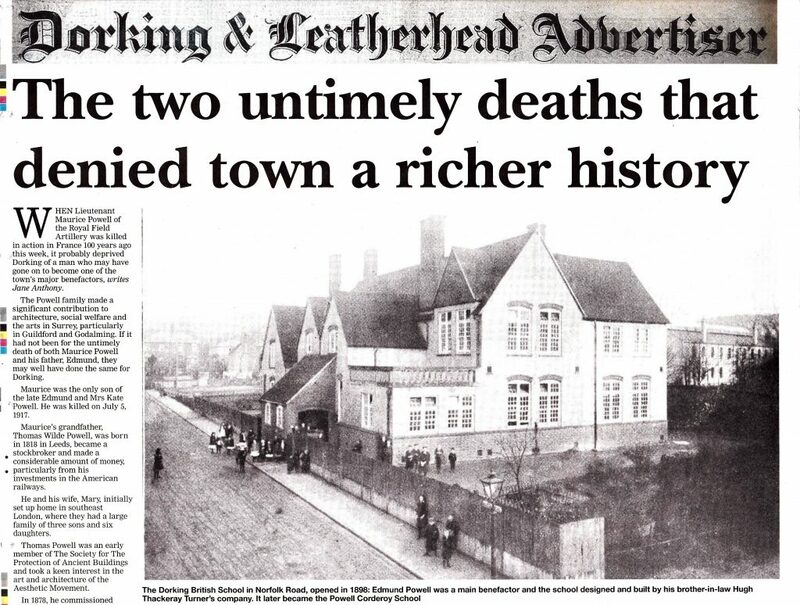 He was burried on the 21st of January 1901 at St Martin´s Church in Dorking. 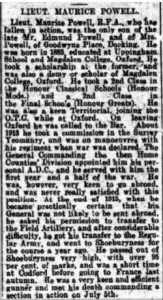 At the time of the 1901 Census, Maurice Powell was a boarder and student at High Street, Uppingham School, Rutland. At the time of the 1911 Census, the widowed Kate and her children Dorothea, Maurice and Helen Margaret lived at 34 Hertford Street, Mayfair, London. The household further comprised of a cook, lady´s maid, parlourmaid, kitchen maid, two housemaids and a visitor: Captain of the Royal Field Artillery, Geoffrey Kirkes Gregson. The house had 17 rooms. Maurice Powell studied at Magdalen College, Oxford, where he took a 2nd class in the Honour Classical Schools (Honour Moderations) and a 2nd class in the Final Schools (Honour Greats). He was also keen Territorial, joining the O.T.G. while at Oxford. On leaving Oxford he was called to the Bar. He disembarked on the 20th of January 1916 to France. 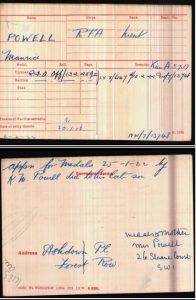 At the time of his death Maurice Powell was a Temporary Lieutenant of the Field Artillery. He was a very keen and efficient gunner and met his death commanding a section in action on 5th of July in France. Maurice Powell of Goodwyns Place in Dorking left to his mother, Kate Millicent Powell, £4722, 12s and 1d in the Probate. She also received £125, 8s and 2d in Soldier´s Effects. 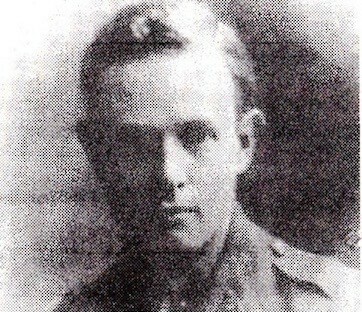 Maurice Powell received the British War and Victory medals. Maurice´s father Thomas Edmund Powell was born on the 16th of May 1857 in Blackheath, Kent to Gentleman Thomas Wilde Powell and Mary Elizabeth Powell. Thomas was baptised on the 28th of June 1857 at St Nicholas Church, Plumstead. At the time of the baptism the family lived at Blackheath Park. At the time of the 1871 Census, Thomas was a scholar and boarder at Highfield House on London Road, Uppingham. 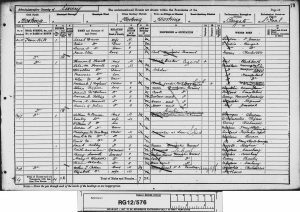 Maurice´s mother Kate Millicent Overbury was born in the 2nd quarter of 1861 at Mornington Road London to stockbroker Benjamin Fox Overbury and Mary Overbury, born about 1838 in Ireland. Kate was baptised on the 20th of March 1861 at All Saints church, Camden Town. At the time of the baptism, the family lived at 77 Mornington Road. Thomas Powell and Kate Millicent Overbury married in the 2nd quarter of 1881 in the Registration District of Steyning, Sussex. Maurice had two sisters: Dorothea Powell born about 1883 in Bedford Square, London and Helen Margaret born about 1888 in Hampstead, Middlesex. Kate Millicent Powell of 17 Sheffield-terrace, Kensington, Middlesex died on the 8th of February 1935 at the Empire Nursing Home, Vincent Square, Westminter, Middlesex. The following article appeared in the Dorking Advertiser on 6th July 2017.